Newsletter of Planned Parenthood of Houston and SE Texas. Includes photos of Medical Director Paul M. Fine, MD. See pages 1-2. Clip of photo and bio of Paul Martin Fine, MD. Feb. 3, 2006: TX State Board hears testimony regarding abortion regulations for minors. 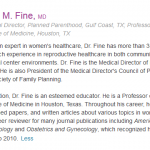 List of testimony includes Paul M. Fine, MD, from Planned Parenthood of Houston and Southeast TX. See page 10. 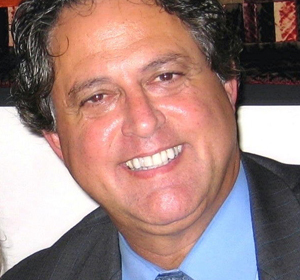 Oct. 1, 2013: Court testimony of Paul M. Fine, MD. Fine testifies, "I have nearly four decades of experience providing abortions, teaching abortion methods, and supervising the provision of abortion services in hospital and outpatient settings." See page 2. Feb. 13, 2015: Medical violations allegedly committed by Planned Parenthood abortionist Paul M. Fine, MD. 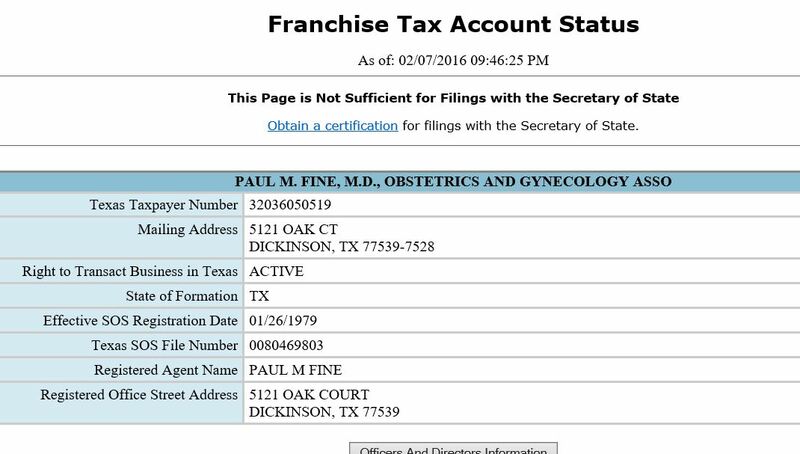 Planned Parenthood pays $232,500 to Paul Fine for "medical services." See page 8. Planned Parenthood pays $277,072 to Dr. Paul Fine. See page 8.